There were seven of us on the half day of sailing tour; Liz, Barry, Julie, Dennis, Lois, Jenny and myself. Jenny (aka the Jenny Wren) was our transport and Barry the “driver”. 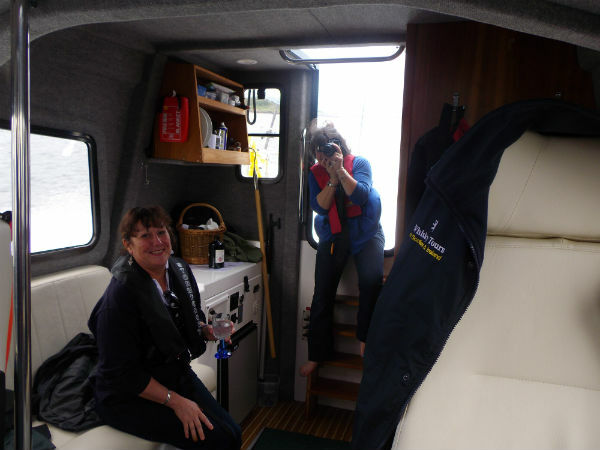 We set off from Craobh Marina, a stunning location on the west of Scotland and just a 30-minute drive from Oban. We set sail immediately and once away from the expensive yachts we turned up the power. Now this is luxury – posh airline seats, an inside cabin, drinks and two great hosts (Liz and myself of course). Julie assisted Barry and helped pour drinks (there were many) as well as being our official photographer. 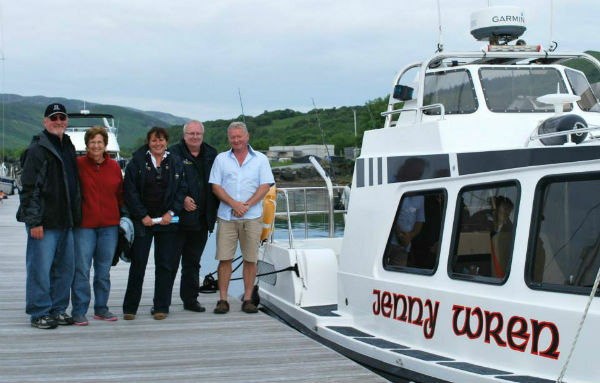 Journey down the Sound of Jura to the remarkable Corryvreckan Whirlpool – the third largest in the world. This natural wonder is between the islands of Jura and Scarba. Stunning scenery all the way, rich with wildlife – sea eagles, red deer, wild goats, seals, porpoises, golden eagles, dolphins, minke whales and a huge variety of sea-birds. Everyone had a whale of a time! 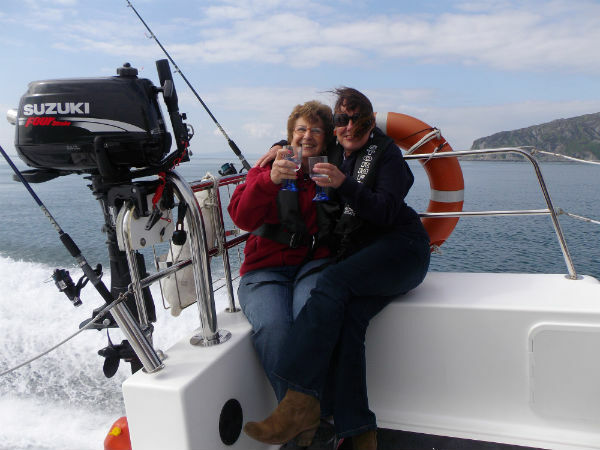 With drinks in hand we split our time by looking at the wildlife, gazing at the fantastic scenery surrounding us, marvelling at the deep sea scanner and all the maritime equipment on board, not only all of this, but we also enjoyed a spot of sea fishing! Our trip to the whirlpool was followed by a wee jaunt across to the entrance to the Crinan Crinan. With time ashore for lunch which we really enjoyed, then travelled back along the picturesque Craignish Peninsula to Craobh Haven.